Carbon and strontium isotope chemostratigraphy (57 ?13Ccarb and ?18O, and 37 87Sr/86Sr analyses of carbonate components in whole-rock samples) was applied to constrain an apparent depositional age of high-temperature, amphibolite-facies, calcite marbles constituting a 20–30 m thick formation (the Melkedalen Marble) in the Narvik Nappe Complex, Nordland, Norway. The least altered 87Sr/86Sr (0.70772) and ?13C (V–PDB) (+3.0 to +5.0‰) values obtained from the Melkedalen marbles are consistent with a seawater composition in the time interval 610–590 Ma, i.e., Mid Ediacaran. 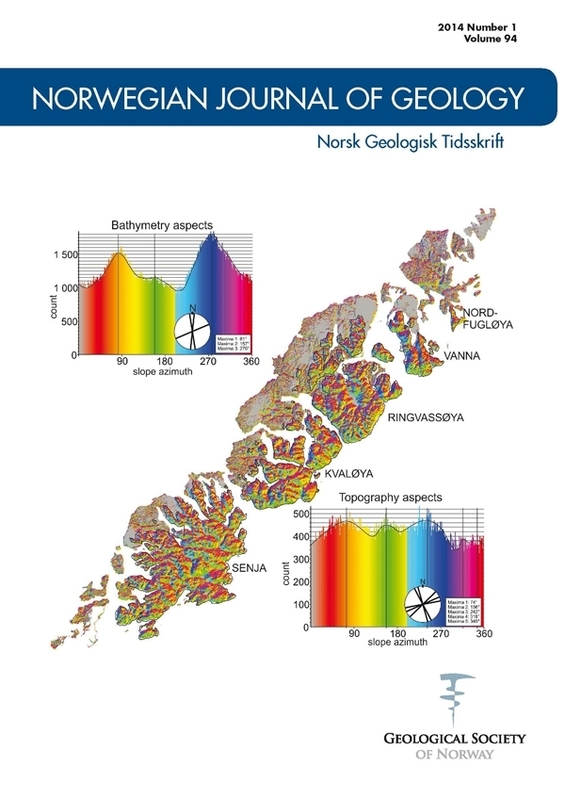 The age obtained provides insight into the time of deposition of the sedimentary rock column of the Narvik Nappe Complex in the Upper Allochthon of the North–Central Norwegian Caledonides. Victor A. Melezhik, , Arne Solli, Ingvar Lindahl, Geological Survey of Norway, Postbox 6315 Sluppen, 7491 Trondheim, Norway. Anton B. Kuznetsov, Igor M. Gorokhov, Galina V. Konstantinova, Nikolai N. Melnikov, Institute of Precambrian Geology and Geochronology, Russian Academy of Sciences, Makarova 2, 199034 St. Petersburg, Russia. Boris G. Pokrovsky, Geological Institute, Russian Academy of Sciences, Pyzhevsky per.7, 109017 Moscow, Russia. Anthony E. Fallick, Scottish Universities Environmental Research Centre, Rankine Avenue, G75 0QF East Kilbride, Scotland.